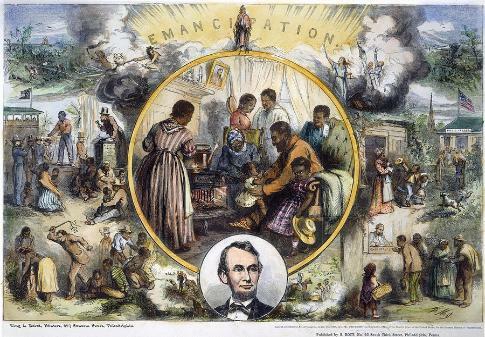 that it led to the Emancipation Proclamation just one week later. order on January 1, 1863.
to join the Army and fight for the freedom of their fellow slaves. their hoes or scrub brushes and eagerly embraced freedom. vaccine to Neil Armstrong's spacesuit, made me proud. human beings. And that we do all we can to promote them. was distributed through Philadelphia printer King and Baird in 1865. The original is at Ohio State.